I’ve got just the thing for your weekend. Frozen Sangria Slush! Really, the name says it all. 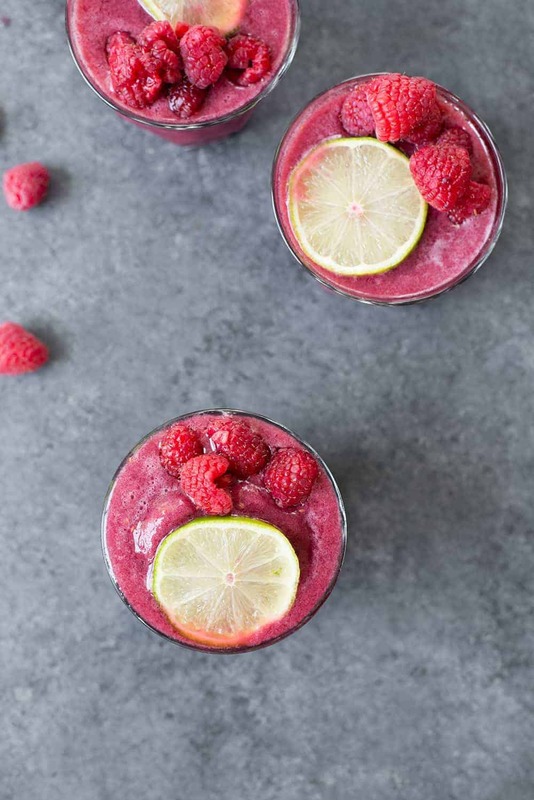 Frozen berries, citrus and wine slushed up into a frothy drink that just begs to be enjoyed outdoors. I was pregnant last summer during the frozen rose (or frose for my hip friends) craze, but I’m pretty sure this drink is inspired by that. 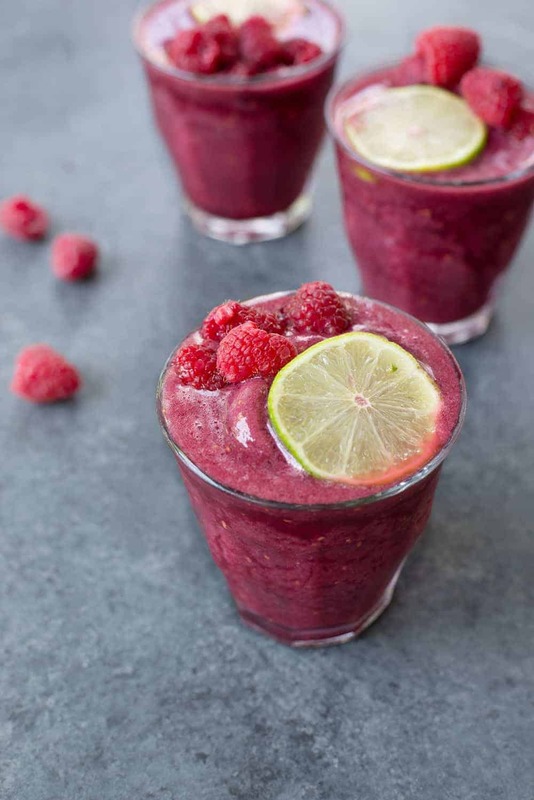 Put some frozen berries in a blender, add some wine and ta-da– instant cocktail. I ended up freezing red wine cubes last weekend, in an attempt to make this cocktail way harder than it needed to be. I had visions of creating a sangria margarita, so I ended up freezing a few trays of red wine in the process. Needless to say, that creation sounded way better in my head than it did in real life. Red wine and tequila are two things that should never, ever mix. Ever. But red wine and berries? Yes. That works every time. Save this one for summer as it also makes entertaining a breeze. 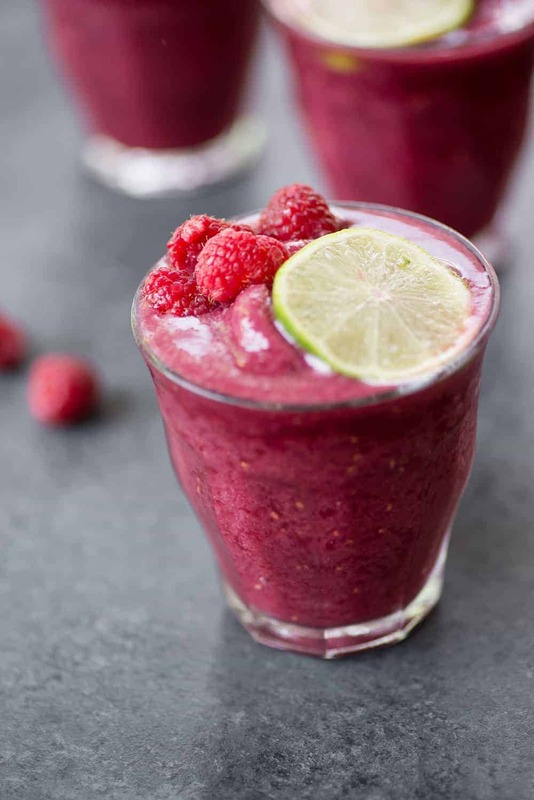 Feel free to switch up the berries depending on what you have around- I think a blackberry sangria would be just as delicious. The brandy add is optional- sometimes I put it in and sometimes I don’t. Really depends on what kind of mood you are in. When we have friends over, I add the brandy. Just BL and I on the back porch on a Wednesday evening? Sans brandy, please. Depending on how frosty you want this, you may or may not need to add ice cubes. I preferred to not have mine watered down so I froze the red wine in ice cube trays ahead of time. This works, but if it seems like a needless additional step then don’t do it! Summer drinking is meant to be easy; do what works best for you. 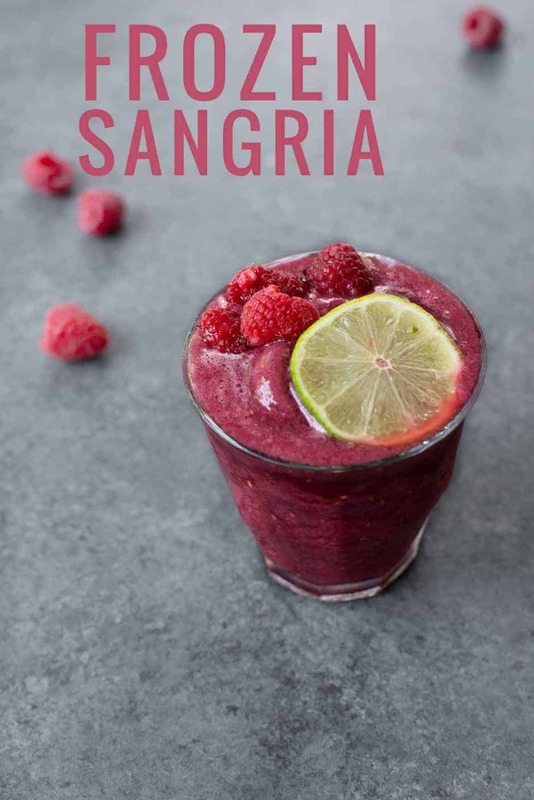 I know you are going to love this frozen sangria as much as we do! If you try it, leave a comment, rate it, and tag your Instagram photos with #delishknowledge . I absolutely love seeing your creations. Happy cooking drinking! Make this recipe! Video below. Frozen Sangria Slush! The PERFECT summer party drink! 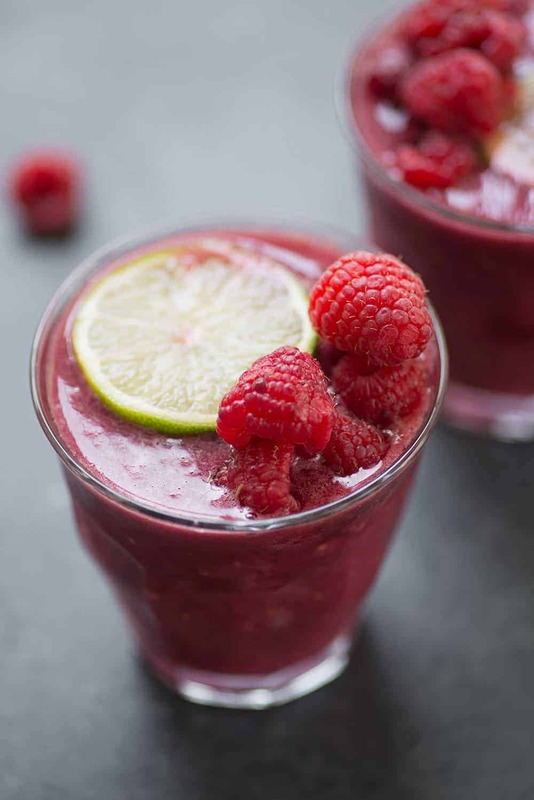 Wine, brandy, frozen fruit and orange juice- ready in just 5 minutes and perfect for a crowd. 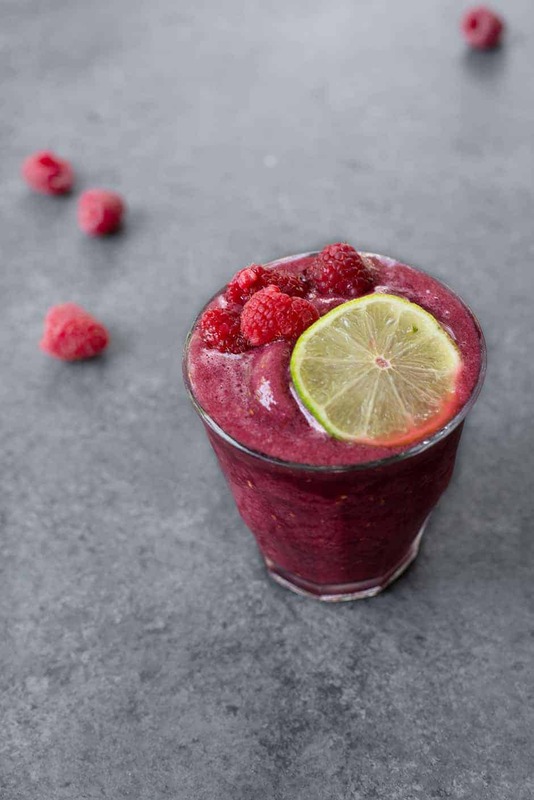 Place all ingredients in a blender EXCEPT ice and puree until slushy. If you need it to be more ‘slushy’, add ice. If you don’t want to water down your slush with ice, then you can make red wine ice cubes before hand. Simply place the red wine in an ice cube tray and freeze until mostly solid; the alcohol will prevent it from freezing completely.